The persistence of the gender pay gap in the Australian labour market is perplexing. The past decades have seen some major advances for women in the workforce and intentional policy initiatives that have targeted a reduction of the pay gap between men and women, yet the pay gap remains. 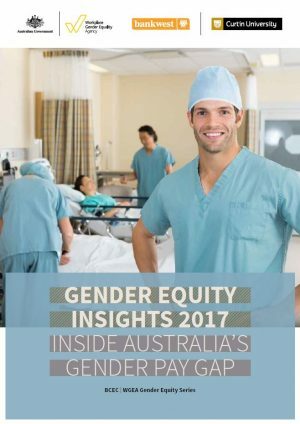 Gender Equity Insights 2017: Inside Australia’s Gender Pay Gap is the second report in the BCEC | WGEA Gender Equity Insights series and extends and strengthens the evidence base around gender pay gaps and how these have changed over time across Australian workplaces. Special investigations are included to provide additional insights and to highlight potential policy targets for governments and the business sector. The role of gender segregation within organisations is assessed along with pay differences between men and women engaged in graduate programs and how these pay gaps differ at the top and bottom of the wage distribution. The report also looks at the balance of women in top-tier management positions and how this impacts on the gender pay gap over time.